My next door neighbour is an avid television football fan but he confessed to me during the Olympics, that he ‘couldn’t bring himself’ to watch women’s football. That was a great pity for there was a number good women’s matches during the games. I have refereed many women’s matches over the years and usually they are enjoyable. You can get an occasional player, who thinks she is Vinny Jones reincarnated in female form but generally the games are played in an excellent sporting spirit. In most matches when a decision is made, there is little arguing or protesting, they just get on with the game. I was therefore surprised and a little disappointed to read a complaint of the referee by the Canadian team, after their semi-final against the women’s game’s super stars, USA. This is one game even my neighbour would have enjoyed. USA women have reached every Olympic final since women’s football was included but this time it looked as if they were going to lose out to their North American rivals. They were three-two down, with the game well into the second half. Canada’s complaint about the referee concerned an indirect free kick she awarded against their goalkeeper at this time. The referee penalised her for taking longer than six seconds to release the ball from her hands. At the taking of this free-kick a Canadian player handled and USA equalised from the subsequent penalty. This put the game into extra time, during which the USA secured their way into yet another final. The complaint after the game on the Canadian website was from Erin McCleod, the Canadian goalkeeper, who claimed that the referee had not previously warned her that she was taking too long. The six second rule is slightly contentious, in that it is very difficult for referees to be exact about the timing. They can’t stand looking at their watch counting the seconds tick-by, with the game in progress. When training new referees, I ask them to sit on their left hand, the watch hand, and then raise their right hand when they think the six seconds is up. The result invariably ranges between four and nine seconds. I have a system that I use, when I think a goalkeeper is starting to hold on the ball a little too long. I count up to six but putting a thousand in front of each number i.e. a thousand and one, a thousand and two etc. This makes sure that the six seconds is really up. After all, the whole point of the six-second rule is to get the ball back into play as soon as possible; not for referees to catch goalkeepers out. However, there can be a temptation for goalkeepers, when their team is leading in a match, particularly if by a slender margin, to retain the ball as long as possible, and these seconds can add up. The referee in the Canada/USA semi final, Christina Pedersen of Norway, was upset by the comments and according to her husband, said that she had not only warned McCleod that she was pushing the boundaries of acceptability but had also spoken to her captain. The rights and wrongs of this case of course will not be solved to the satisfaction of the Canadian team but the fact is that referees are under no obligation to warn players before taking action when they are overstepping the limit. In circumstances like this, rightly or wrongly they will usually do so. Let’s face it; the goalkeeper hasn’t got a built-in clock either. 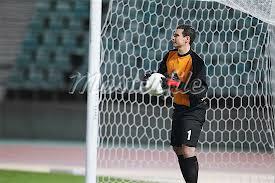 But if the goalkeeper continues the slow release, the free kick will be awarded. Without making any allegations, as the referee in this case said, it was very noticeable how much more quickly the goalkeeper put the ball back into play, after her team had lost their narrow lead.